I’m Mary Izett, sales rep by day, fermenter & crafter by night. I love craft beer, fermentation, cooking, arts & crafts and life! I’ve been homebrewing since 2006 in Brooklyn, NYC. I’m a BJCP National ranked judge and former President of both the New York City Homebrewers Guild and Malted Barley Appreciation Society. I brew all-grain using the Brew In A Bag method & specialize in sour ales, smoked ales & other “oddball” beers. I also enjoy making all kinds of fermented beverages and foods, including sodas, meads, ciders, kombucha, kimchi and more. I’ve had so much fun making fast-fermented alcoholic beverages like session beers, short meads, ciders and fermented boozy sweet teas that I wrote a book about them! 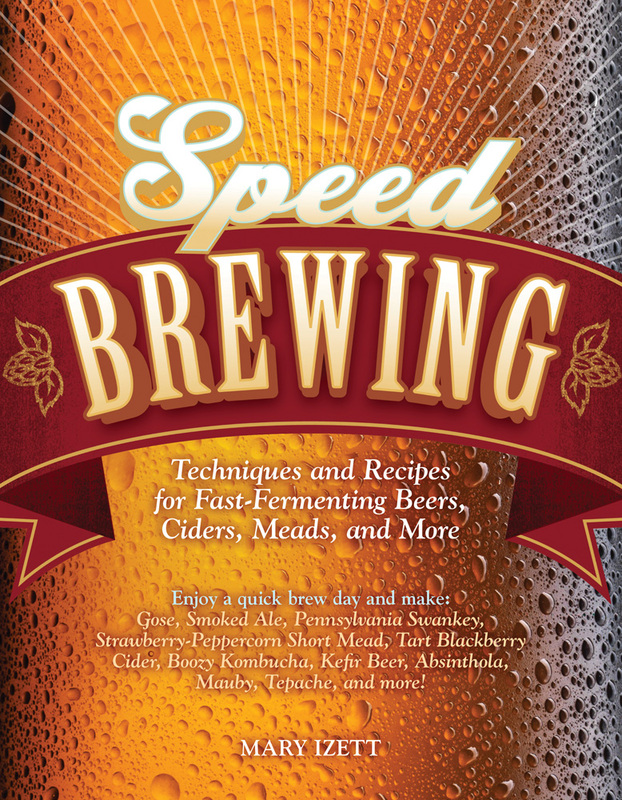 Speed Brewing, was published by Voyageur Press last June. You can order it now through Amazon, Barnes & Noble, IndieBound, or !ndigo. 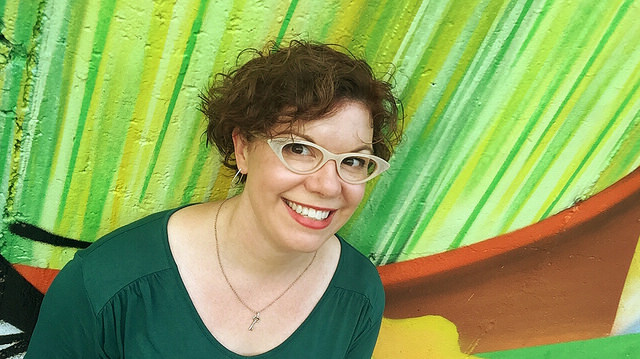 My husband Chris Cuzme and I co-host Fuhmentaboudit!, a live internet radio show on all things fermented, on Heritage Radio Network every Monday night at 7 pm. You can listen live here, find them archived on the same page or download on iTunes or Stitcher. Chris & I also started our own gypsy brewing company last year, Cuzett Libations. Our first beer, the Cuzett Grisette, was brewed at KelSo Beer Co here in Brooklyn and released in late February. We followed that up with Revenge of the Emu, a 100% Galaxy hopped kolsch. We just released a second version of the Grisette and will have several more beers coming this year. And if you’re curious about how my love of craft beer came about, scroll down to page 21 of this Gotham Imbiber. I love your website. It is so easy to navigate and you have a lot of good information. I talked to a few people today who made it up to Ommegang and I was jealous to hear of the activities. Keep up the good work supporting and sharing craft beer! Very much enjoyed meeting you at one of your DAT tastings last month – we talked about Orval and their timing of the brett addition. Hope to cross paths at one of the MBAS events in the near future – hearing about your leadership has inspired me to check the group out. Would love to hear more in particular of your own homebrewing endeavors! It was great talking with you and your mom last Sat. afternoon at The Triumph Brewing Co. in Phila. Little did I know that sitting next to my friend Brian was a highly skilled craft beer and food critic. I’m now becoming an avid reader of Ale Street News to learn about craft beer from you and your colleagues. Thanks again for the super conversation and I look forward to reading about your most excellant adventures on your journey of gustatory delights.